Network Rail is responsible for every 20.000 miles of track that means 40.000 miles of rail. and one of the main reasons it’s so safe is the huge amount of work of maintenance team and engineers. The type of material used to make rail is very important and specified: 0.6 carbon steel and other alloying addiction to increase strengthens and hardness. This type of steel is mainly produced in Tata Steel’s works in Scunthorpe. The rail production process begins with 70.5 meters long blocks of steel called “blooms” weighing 6.5 tons. This bloom is heated in a furnace at 12040°C, then it is transformed in a 108 meters in length. At the end of the production the rail passes through a complex computer-controlled Non-destructive Test (NDT) process to look at them profile in terms of surface quality using UV, lasers, ultrasonic and eddy currents. It is desirable to have the longest rail that can be practically delivered: the fewer the joints the stronger the rail. 216m is the practically limit that can be delivered to track. The standard rail by Tata Steel is very high, but even the best rails won’t last forever. Bryan Whitney is the principal track engineer for Network Rail, and part of his job is to understand how the degradation of rail occurs, how quickly it happens, where it happens and how to mitigate against it. The mainly type of degradation are: fatigue damage on the surface and internally within the rail, wear, plastic deformation and loss of section due to corrosion (especially in aggressive environment like level crossing). 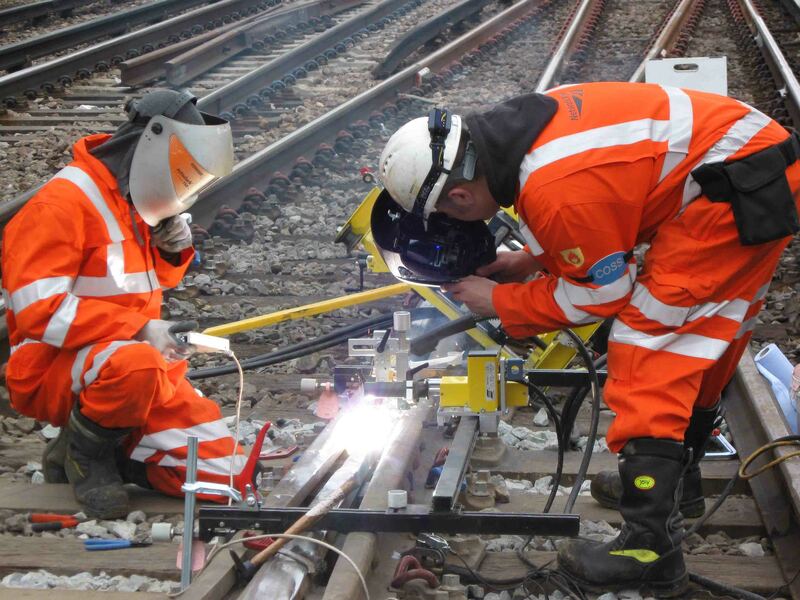 One of the most important ways Rail Network manages rail is through inspection: they have a fleet of monitoring trains but in complex layout they still need to inspect on foot using portable kits. Following inspection, the next most important part of rail management is preventive maintenance, and the principal means of preventive maintenance are grinding and lubrication.